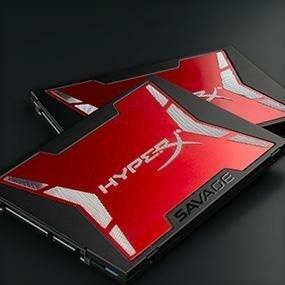 HyperX Savage solid-state drive offers extreme performance for the extreme performer. 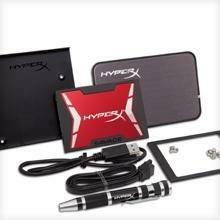 The fastest HyperX SATA-based SSD, it’s powered by a quad-core, 8-channel Phison S10 controller that delivers incredible speeds up to 560MB/s read and 530MB/s write, with read/write IOPS up to 100k/89k. The result is ultra-responsive multitasking and an overall faster system that maintains performance even as the drive fills up. It’s available in a bundle kit that includes everything you need to install Savage in your existing system, including a USB 3.0 enclosure to transfer data from 2.5-inch hard drives; a 2.5 – 3.5 inch adapter to mount in a desktop environment; SATA data cable; multi-bit screwdriver and Acronis data migration software. HyperX Savage SSD is 100-percent factory tested and backed by a three-year warranty, free technical support and legendary reliability. It’s easy to install HyperX Savage SSD, especially with the all-in-one bundle kit that includes everything you need to get started. The kit includes a USB 3.0 enclosure to transfer data from 2.5-inch hard drives; a 2.5 – 3.5 inch adapter to mount in a desktop environment; SATA data cable; multi-bit screwdriver and Acronis data migration software.